Aggression in dogs is a massive issue. From dog bite prevention and public safety to the pet overpopulation problem due to over-capacity animal shelters, aggression is a leading cause of many of the major problems in the dog world. Dogs aggress under many different circumstances from leash reactivity to territorial issues, and aggression can be manifested both upon humans (known as dog/human aggression) or between multiple dogs (dog/dog aggression). Sometimes dogs' instincts result in them exhibiting predatory behavior, and sometimes dogs can react negatively to frightening experiences or objects with fear aggression. The first step in understanding aggression in dogs requires that you determine why the dog is aggressing. While the types of aggression may vary, the underlying root causes of aggression are usually relatively consistent: insecurity, fear and anxiety. All too often, the treatment prescribed for modifying aggression in dogs misdiagnoses the root cause of the aggression, resulting in dominance and punishment-based protocols – techniques and training tools which actually make the problem worse. At its core, aggressive behavior addresses the dog’s need to increase distance from a perceived danger. This can include threat and action displays ranging from a subtle growl or lip lift to a deep bite. In most cases, the dog’s intention is not so much to harm the threat as it is to change the threat’s behavior by making it go away. Are dogs aggressive because they want to be dominant over humans? 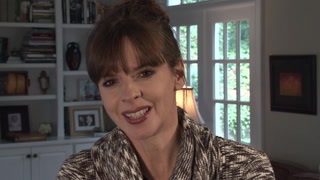 Although aggressive behavior is an effective way for dogs to control their environment, affect behavior in others, ensure priority access to resources, and achieve reproductive success, using the dog’s supposed desire to be the ‘alpha’ to explain why dogs aggress does not do justice to what is really going on in the dog’s mind. The pack idea is based on outdated theory that misunderstands a dog’s social intentions. A more accurate explanation lies in the fact that if a dog has not been taught how to function successfully in a domestic environment, he will behave the only way he knows how. Your dog may control access to food, space, furniture, or other things that provide comfort and pleasure by aggressing, but this is more likely done out of fear that he will lose access to those resources and not because he wants to be 'above' everyone else in the household. Aggression is deeply rooted in the dog’s instinctual need for safety. 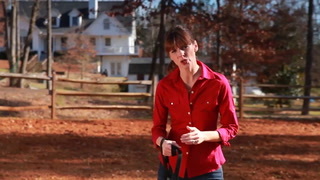 Growling, snapping, lunging, and biting are critical ways the dog uses to communicate his intent. That intent may be to warn, intimidate, resolve conflict, increase distance, defend, or cause harm. In any case, aggression is designed to ensure the dog’s personal safety and survival. Even on an emotional level, when a dog is fearful, frustrated, angry, anxious, stressed, or in pain, safety is of paramount importance. How Can Aggressive Behavior Be Changed? Helping an aggressive dog become more confident by teaching him to see a perceived threat or potential loss of a valued resource in a different light is the key to successfully changing the behavior. For some dogs this can be achieved in a relatively short period of time, but others require more time; each dog learns at a different pace. Positive reinforcement is the most effective philosophy to use in these cases, because the methods have a lasting impact, even on so-called 'red zone' dogs. What’s Wrong With Punitive Training? Owners understandably want quick fixes for their dog’s aggressive behavior because they worry about what damage their dog may do, but the 'quick fix' idea demeans a dog’s emotional experience and is psychologically unachievable. When a dog is suffering from anxiety or fear, it is sheer foolishness to profess that he can be 'fixed' quickly; this idea of 'success' is dangerous and fundamentally wrong. A dog needs time and support to change the way he feels emotionally; punitive training only puts a bandage on the problem without really addressing the cause and changing the way the dog feels inside. Even though it may look like the dog is 'behaving' better, continually suppressing aggressive behavior through punishment is very dangerous because every incident creates another negative experience for a dog that is already a ticking time bomb. 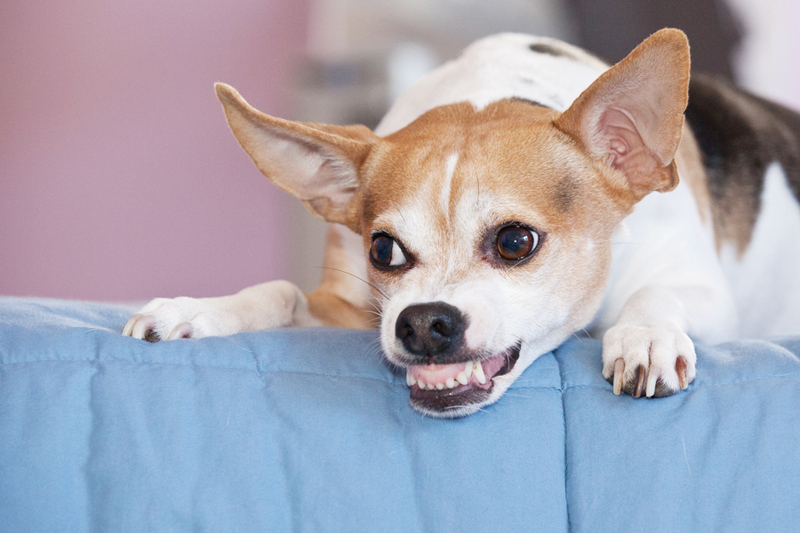 Are Aggressive Dogs Under Stress? On an emotional level, aggression causes extreme stress for dogs, especially if triggered by a traumatic incident, abusive handling, or an inability to cope with continually changing environments. Regardless of its origins or intent in the dog’s life, aggression is almost never a useful or wanted behavior in any domestic environment and must be treated appropriately in order to preserve the well being of the dog, his environment, and his human family. Aggression is a serious issue which can manifest itself in a variety of ways and in multiple scenarios. Most aggression is rooted in a dog's desire to put some distance between himself and whatever he views as a threat to his resources, happiness or very survival. In order to curb aggressive behavior in dogs, it's imperative that punishment-based training techniques be avoided, as they only exacerbate the problem in the long run. 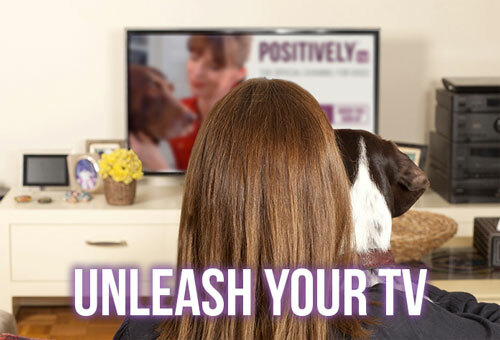 Instead, employing the power of positive training with a qualified positive dog trainer can effectively and safely change how the dog feels on the inside, removing the need for him to react aggressively to what he may have previously considered a threat.